My name is Lindokuhle Hadebe from Nelspruit but currently in Johannesburg. 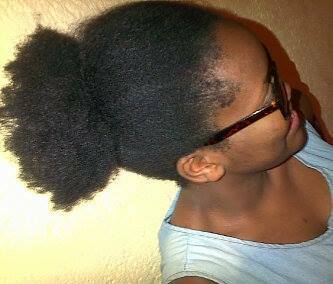 I have had natural hair for approximately 3 years constantly cutting it and I had dreadlocks too. I decided to go natural because I have a sensitive scalp and all relaxers were burning me. 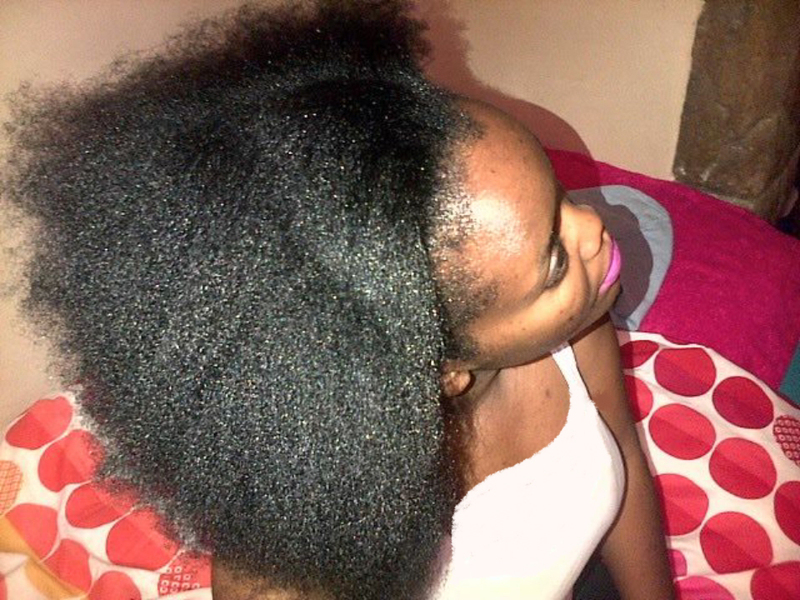 What was the most challenging thing about going natural? 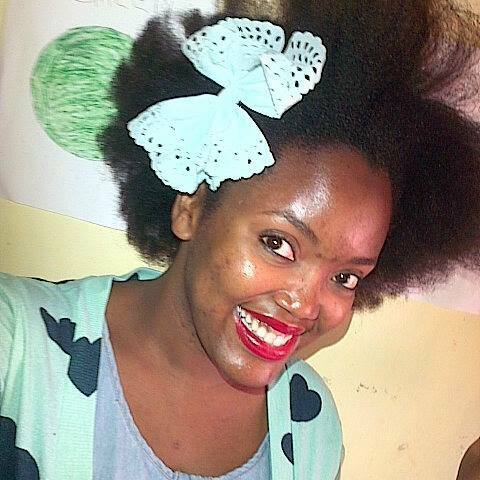 I find that it is difficult to maintain natural hair because I run out of hairstyles and not know what to do with it. I just wash at a salon and ask them to base my scalp. What does your “wash day” involve? I have my hair washed and dried at the salon once in two weeks. How do you wear your hair most days? Wide-tooth comb, finger de-tangling or Denman brush? What’s your biggest tip for maintaining healthy or long hair? I find that looking after the scalp and roots helps maintain healthy hair. Any social sites where people can find you? There you have it. Simple and straight forward hair journey. 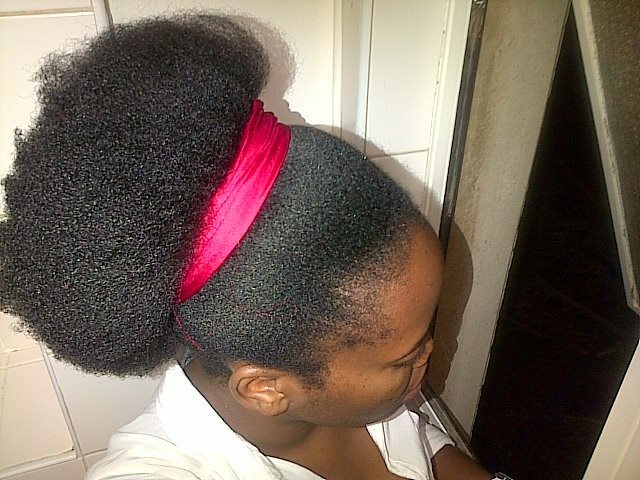 No complexities of any kind but still very beautiful hair that looks very healthy. Some people are just lucky or have great genes. Which is luck still. 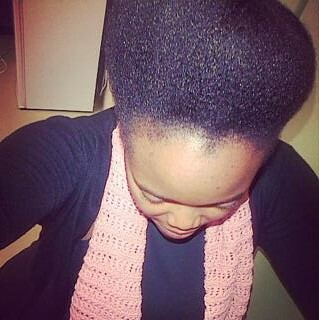 Would you like to share your hair journey with us, email natsis27@gmail.com and you will be featured on this blog.